The ten Journey to Excellence (J2E) goals are blended within the content development and visual design presentation of ByDesign. Educational skills development such as creative thinking, problem solving, and group collaboration is essential within the educational model. Conceptual understanding is encouraged through learning observations, talking, asking questions, drawing, and journaling. Bible text or reference that focuses on specific Adventist beliefs and related to the enduring understandings. Each student will desire to know live and share the message and mission of the Seventh-day Adventist church. Essential questions or concepts that guide in the development of an Adventist worldview. Each student will surrender his or her whole life to God, develop a relationship with Jesus Christ, and allow the power of God’s Word united with the Holy Spirit to work in his or her life. Each student will develop a sense of self-worth, skills in inter-personal relationships, an understanding of the responsibilities of family membership, and the ability to respond with sensitivity to the needs of others. Profiles of Christian men, women, and organizations whose lives/mission demonstrate service to humanity in a science-related career. Each student will develop a Christian work ethic with an appreciation for the dignity of service. Each student will develop an understanding of cultural and historical heritages, affirm a belief in the dignity and worth of others, and accept responsibility for local, national, and global environments. Concepts that focus on physical, mental, and spiritual health and relate to the enduring understandings. Each student will accept personal responsibility for achieving and maintaining optimum physical, mental, and spiritual health. Each student will function responsibly in the everyday world using Christian principles of stewardship, economy, and personal management. 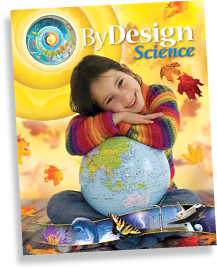 Science Journal - The Science Journal is used as a recording device for the inquiry activities as well as to summarize important lesson concepts. Additionally, students are asked to journal about their understanding of the lesson and how this relates to their Adventist education. Intellectual Development - Each student will adopt a systematic, logical, and biblically based approach to decision making and problem solving when applied to a developing body of knowledge through the lens of scientific understanding.